Use these activities on their own or in addition to any Spanish program! 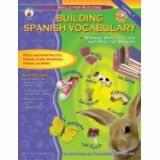 The exercises in this 128-page elementary Spanish resource book are presented in a range of formats designed to help students acquire basic Spanish vocabulary. Vocabulary lists, reproducible storybooks, pronunciation key, and an answer key are all included. Support language acquisition using Skills for Success: Spanish for grades 6–12. 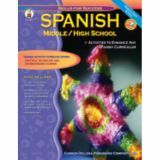 Middle school and high school students can use the activities in this 128-page book on their own or in addition to any Spanish program. 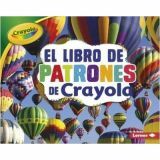 The exercises in this resource book are presented in a range of formats that help students acquire basic Spanish vocabulary. The book includes vocabulary lists, reproducible storybooks, a pronunciation key, and an answer key.